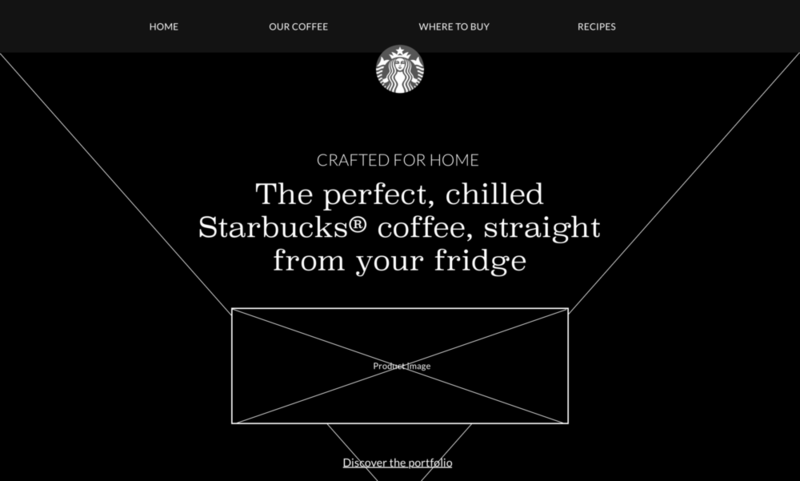 Working with creative agency Haygarth, we produced a responsive website prototype for a new refresh home products range from Starbucks (US). Haygarth asked us to help them work with their in-house design and technical team to sketch a number of interactive concepts built off the known content the site required. From there we rapidly iterated until a primary solution was formed on paper. From there we created responsive wireframes in Sketch and then an interactive desktop and mobile prototype in InVision. These prototypes were then taken by Haygarth's design and technical teams and used to deliver the final solution.